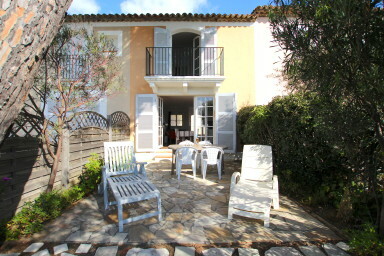 This nice house is in a private area of Port-Grimaud 1. The beach is less than 10 minute-away by walk. - on the top floor: 1 bedroom with a double bed and a balcony, 1 bedroom with 2 single beds and a bathroom. Furniture for babies (bed, bath, seat, barrier for the stairs). On the canal side, a well furnished terrace to enjoy the South-West orientation. A 10m x 4.20m mooring. A lovely house with a unique view!